Combine all together in a zip-lock bag and marinade anywhere from 4-24 hours in the fridge. After it’s done marinating, you can grill it until cooked through. 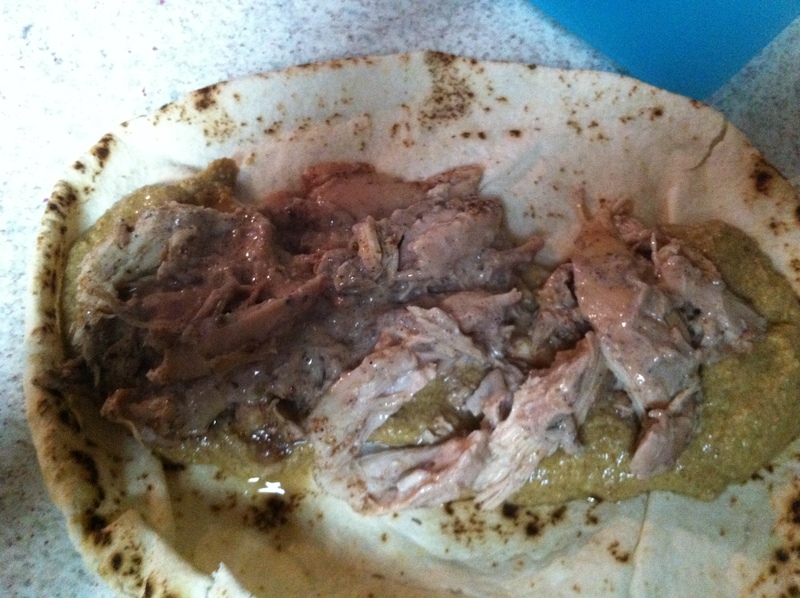 I used the leftovers from a baked chicken so I didn’t have to cook the chicken. 1) Preheat oven to 350 degrees. 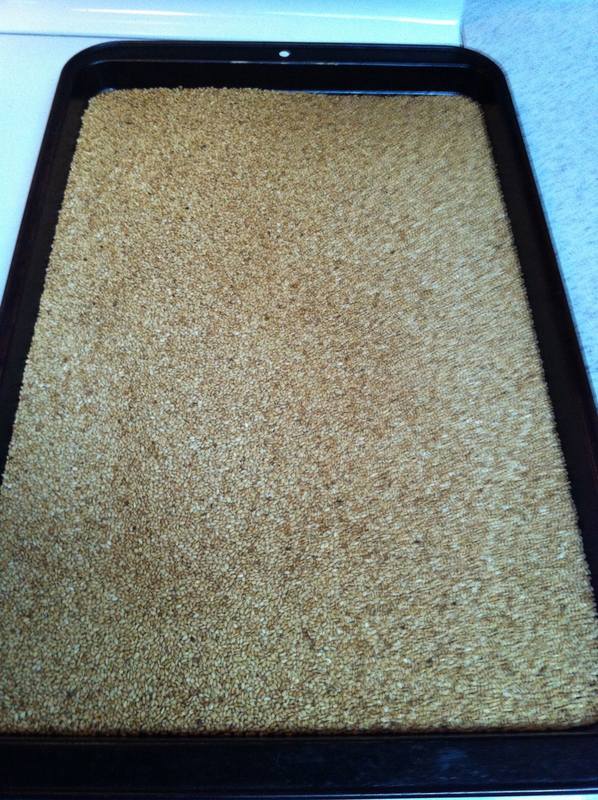 Place sesame seeds in a rimmed sheet pan and cook until lightly toasted toast, but not browned, about 5 minutes, tossing seeds ever couple of minutes with a spatula. Remove from the oven and let cool slightly. 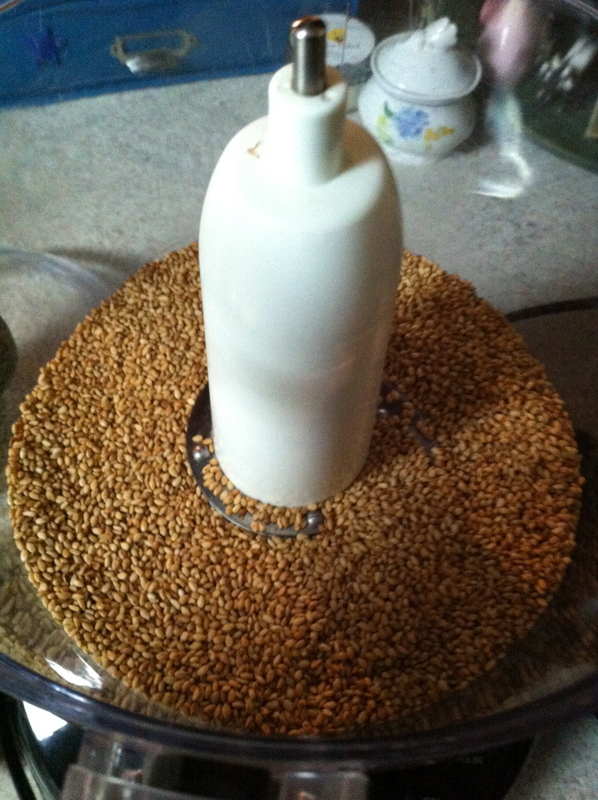 2) Place sesame seeds in work bowl of a food processor with olive oil. 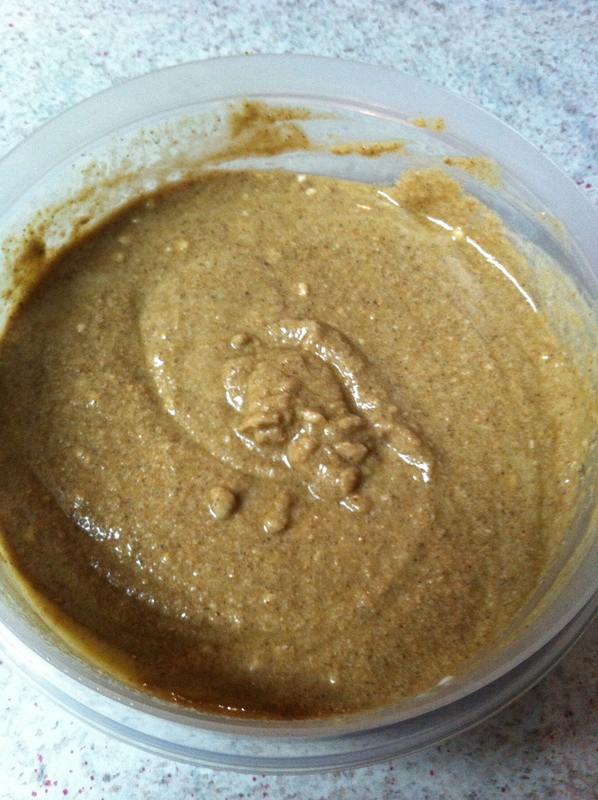 Process until smooth and paste as consistence slightly thinner than peanut butter, adding more oil if necessary. Store in an airtight container in refrigerator. 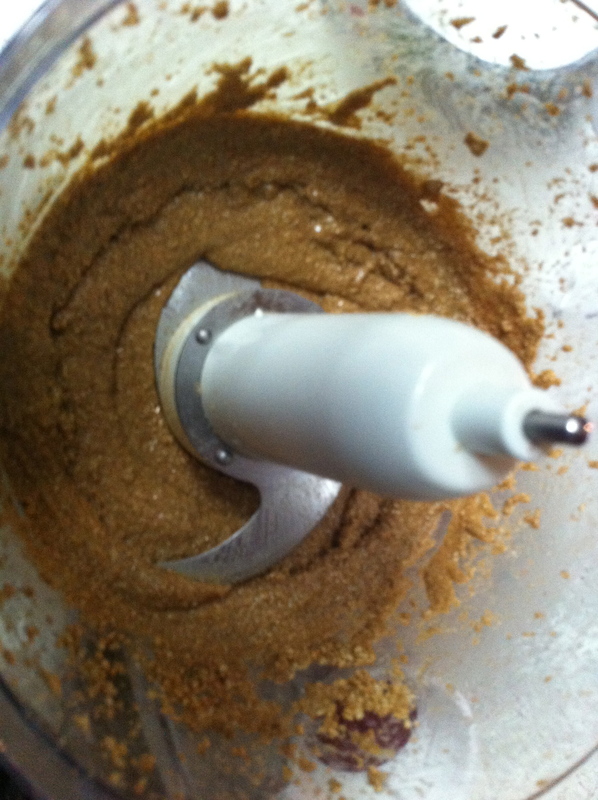 Mix it all in a food processor. 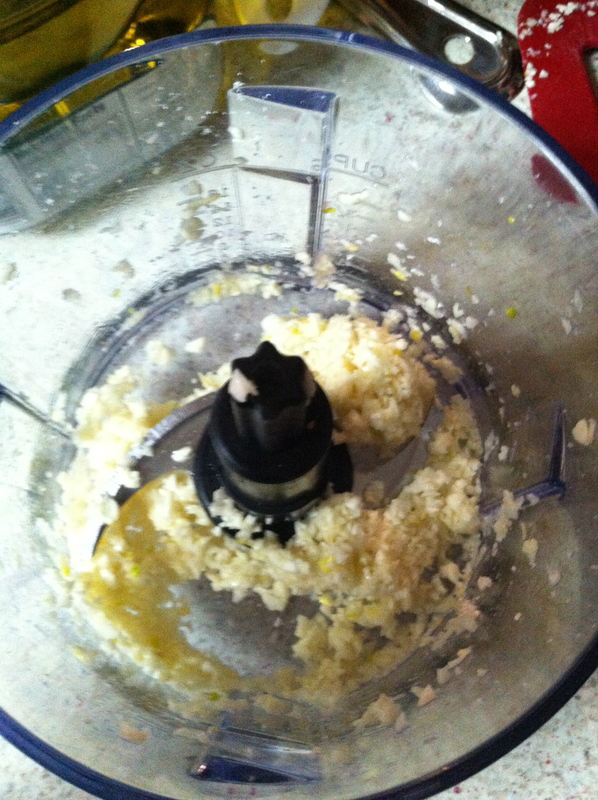 1. separate all the garlic cloves & peel them. 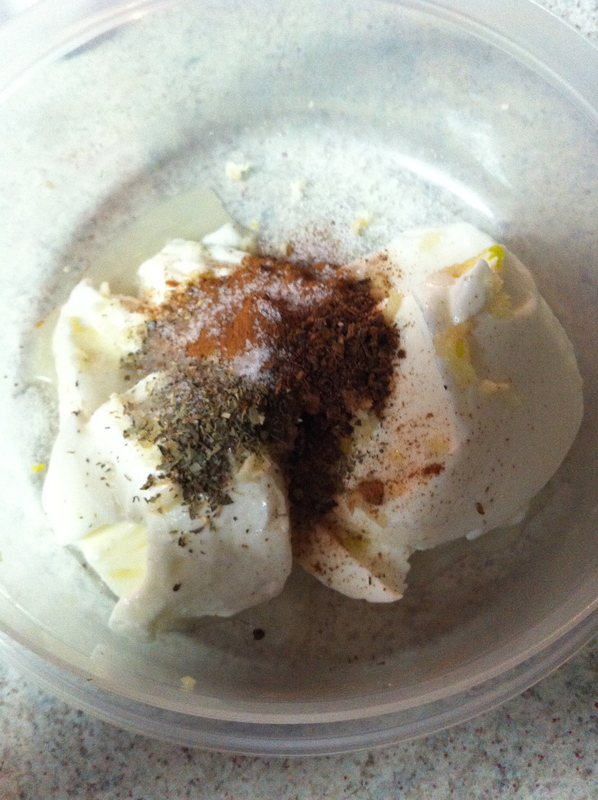 2. blend the garlic & salt together until it’s a smooth, creamy paste. I used my smaller food processor for this. 3. alternate adding oil & lemon 1 tbs at a time. 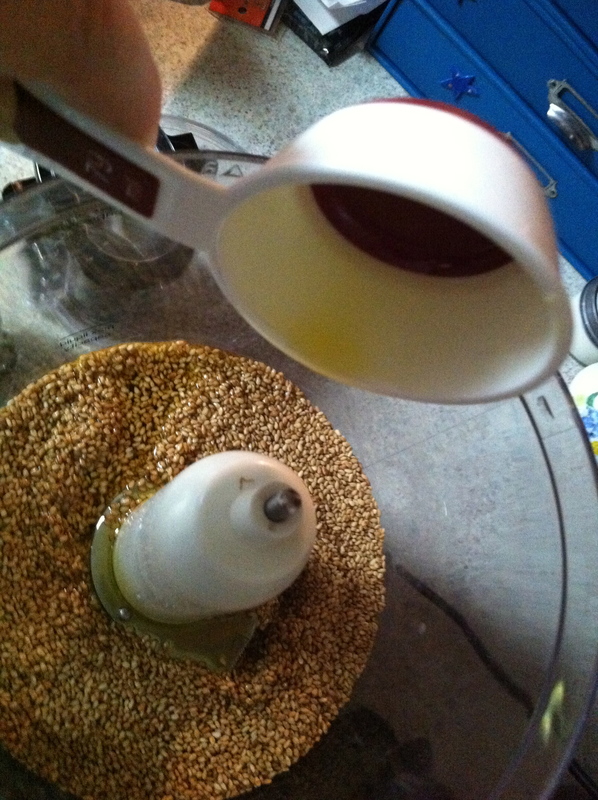 Add a tbs of olive oil first & then blend until it is completely combined. 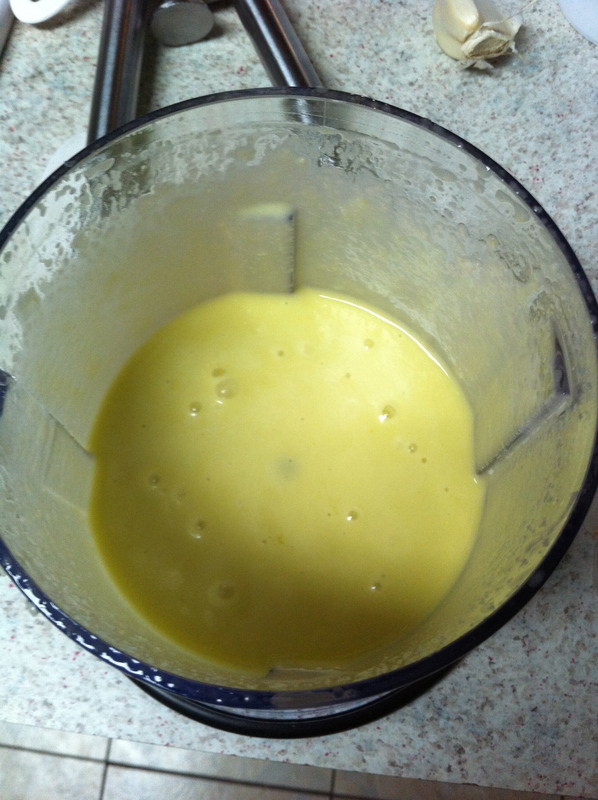 Then add a tbs of lemon juice & once again blend until completely combined. 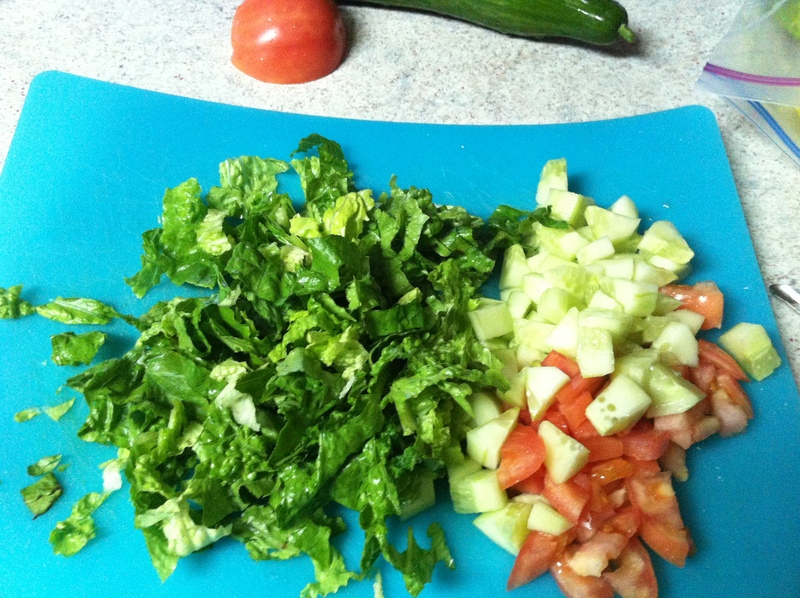 Once you’re about half way through the lemon & oil, you can start adding them 3tbs at a time. 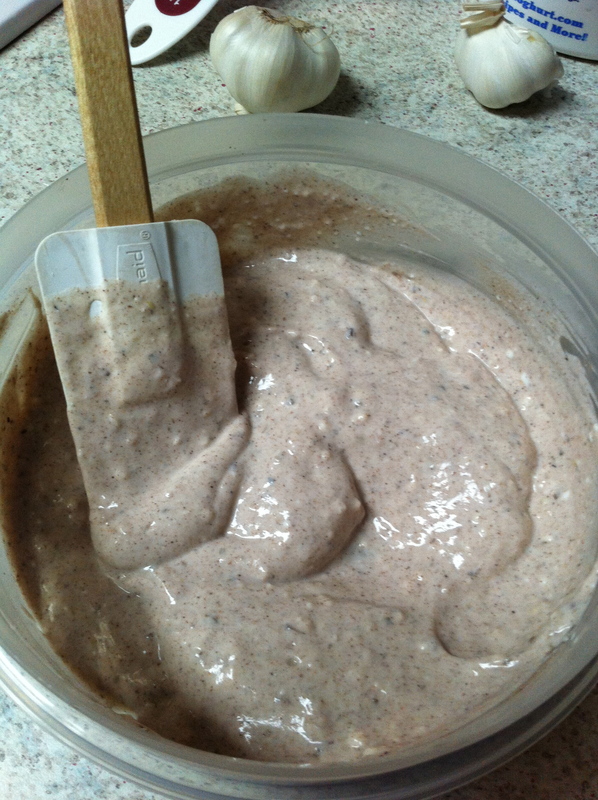 Once it’s all been added, you want to continue to blend until the mixture starts to thicken & take on a yogurt or mayo like consistency. 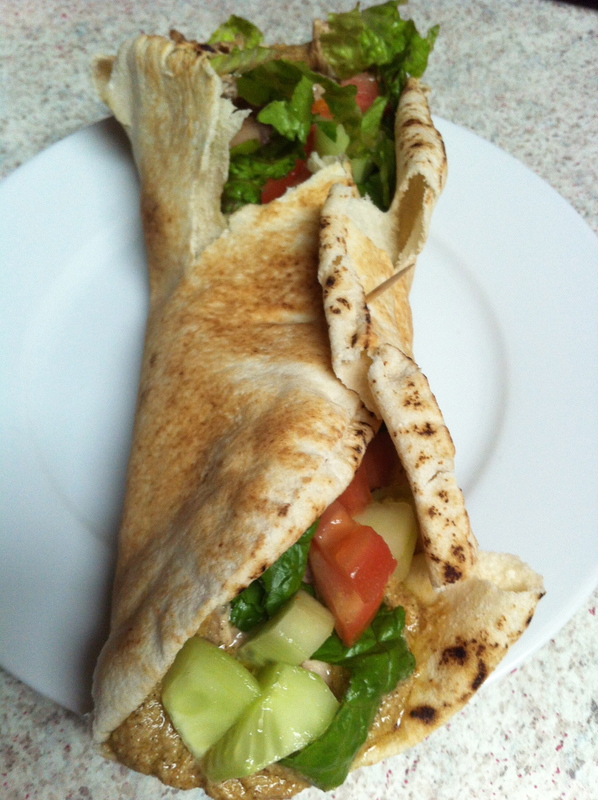 Spread Tahini sauce on pita. Layer marinated chicken next and then top with vegetables. 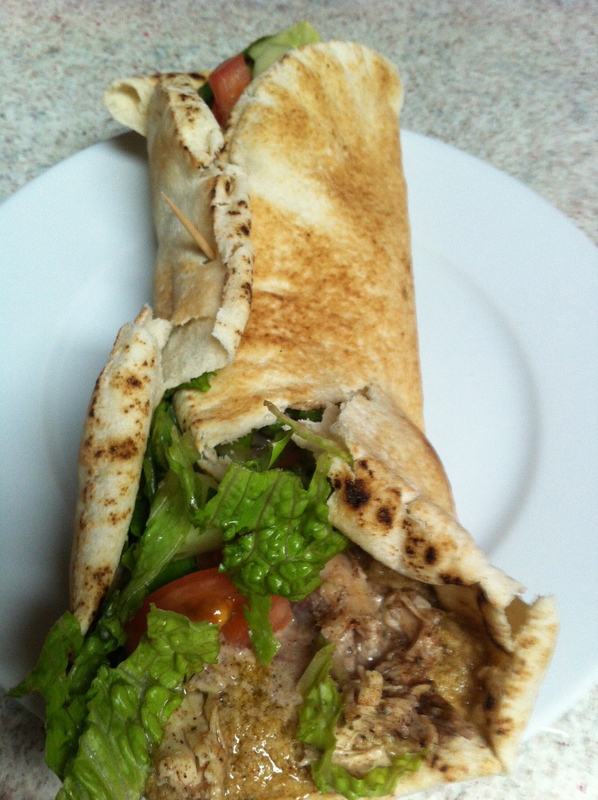 Wrap pita up and enjoy!